"The people who depend on the I-90 bridge to get to their school, their workplace and their doctor's office shouldn't have to pay again for a bridge they already paid for." Print out this petition. Sign it (you can ask friends to sign) and return it to the above address. L-6 organization registered with the Washington State Public Disclosure Commission. We need your contributions to spread the message, lobby our representatives and prepare for legal action. Please send your contributions now! 2008 SR-520 Tolling Implementation Committee Report, See pages 24 and 25. Cost Estimates for West Approach for SR 520 Bridge. The Alliance for Toll-Free Interstates submitted the following letter to the House and Senate conferees who will be resolving differences between the Senate DRIVE Act and House STRR Act before the highway funding reauthorization deadline on Dec. 4. ATFI feels strongly about language in the two bills regarding the Interstate System Reconstruction and Rehabilitation Pilot Program (ISRRPP) which could be used to impose tolls on existing, currently free-to-access interstates in the U.S. Contact Your State And Federal Represetatives. For information about the scoping process, meetings and comments click here. Do NOT ALLOW the state to narrow the SCOPE of IMPACT to only traffic on I-90 or to limit funding alternatives for the SR-520 project. Congressman Adam Smith (9th Congressional District) writes to Ray LaHood, Secretary of Transport. Click here for details. Congressman Dave Reichert (8th Congressional District) writes to Anthony Foxx, the incoming Secretary of the United States Department of Transportation, regarding I-90 tolling. In his letter, Congressman Reichert raises concerns about the potential impacts of tolling on commerce and the legality of tolling I-90.Click here for details. We are very thankful to these Congressmen for their support. With the passage and signing of ESSB 5024 on 5/20/13 by Gov. Inslee, an evironmental impact statement (EIS) is now required before tolling I-90 for "providing funding for the construction of the unfunded state route number 520 from Interstate 5 to Medina project" can occur. The bill also requires the WSDOT to "perform a study of all funding alternatives to tolling Interstate 90 to provide funding for construction of the unfunded state route number 520 and explore and evaluate options to mitigate the effect or tolling on affected residents and all other users of the network and highways and roads surrounding Lake Washington..."
This is an important step in bringing to light the deleterious economic, social and qualitiy of life impacts on the entire I-90 corridor of tolling I-90. The requirement to explore alternatives for funding the unfunded part of route 520 is also an important aspect to this legislation. Washington Policy Center article says that tolling I-90 is fundamentally flawed. Click here for article. 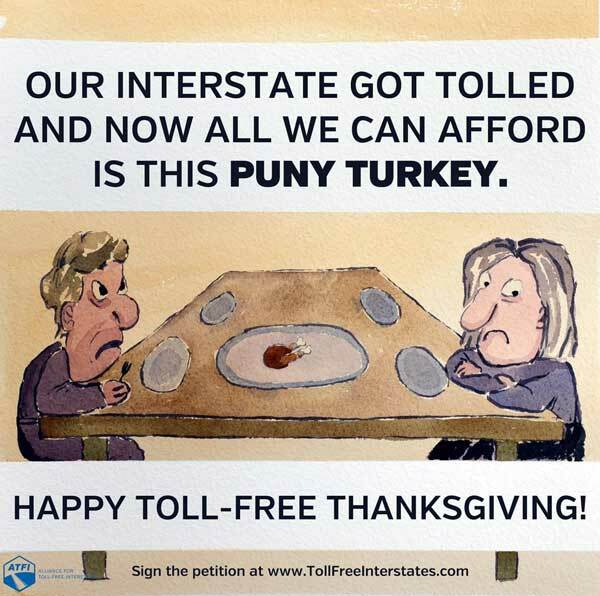 Tolling I-90 bridge is the wrong approach Just because the state can toll does not mean it should. Click here for Seattle Times Op-Ed. This map shows it is not just I-90 that tolls are planned for. Click the map to go to see more details of possible tolls. Please CALL your State Representatives with your reasons for opposition to I-90 tolling. Phone numbers are listed on the Contact Officials page. CALLING is very important to convey the urgency and negative impact of the tolling proposal on the lives of everyone along I-90. Also call your federal representatives. Whichever city you live in, contact, write, call your City Council Representatives. Write to your State Representatives (find them here). Your federal representatives are also listed under the Contact Officials link at the top of this page. Tolling Preparations Are Happening Now! Tolling I-90 will NOT decrease the toll on the SR 520 bridge due to negotiated bond agreements for SR 520 bridge construction. Tolls on SR 520 during peak-hour one way travel started at $3.50 in 2012, have risen to $3.59 for 2013, and will increase each year to $4.33 by 2016. Tolls on the Tacoma Narrows Bridge have gone from $1.75 in 2007 to $2.75 in 2009 to $4.00 in 2013, and are scheduled to increase to $6.00 in 2016. Tolling I-90 would affect all residents, businesses, and employees along its corridor. Tolling I-90 would affect commercial and freight traffic all along its corridor. Tolling creates an economic and social divide between Seattle and the greater Eastside and isolates Mercer Island. Tolling I-90 amounts to a "penalty tax" for living on Mercer Island, going to school there, working there, and doing business there. Mercer Island is a neighborhood community from which almost all trips necessary to maintain its residents’ quality of life - employment, health care, shopping, after-school activities, charity, entertainment - are to and from the mainland. Anyone coming to visit, shop, or work, whether friend, relative, or persons delivering goods or services would be affected. It is unique in that it is entirely dependent upon the I-90 bridges for land access to and from home. Therefore, for families living on Mercer Island, this “penalty tax” would amount to multiples of $1,750, increasing to …. Tolling would be a deterrent for participation in cross-lake charitable activities. Tolling I-90 will influence family decisions where to send children to school as well as increase costs for accessing cultural, sports and entertainment facilities and activities throughout the I-90 corridor. Tolling I-90 would result in I-90 commuters paying a greater proportion of SR 520 bridge construction costs than SR 520 commuters due to greater vehicle volume on I-90 than on SR 520. Call the Legislative Hotline number below to contact the Senate or House legislator fom your district: 1-800-562-6000. Write in with your opinon. Here are two sample letters (one for individuals and one for organizations (please use either and edit as you wish). Your comments should include the specific economic and social impacts that tolling will have on your business and activities. My children's after school activities (sports, music, etc) require travel multiple times a week from_____ to_____ . My job requires several trips per day to various sites from____ to ______. The care of my elderly parent requires (daily, multiple) trips from____ to ______. I live on the (Eastside or Seattle) and work in (Seattle or Eastside) and the cost of commuting would consume _% of my salary. I can not afford this extra cost of $2,000/year. I would not be able to continue with my charitable activities since they require travelling from ____ to _____. Bringing my children and picking them up at school would involve at least two round trips a day which would impact the choice of my children's school. My place of worship and religious obligations require me to travel from _____ to _____ . A toll would severely impact my ability to exercise this essential aspect of my life. There are many organizations and individuals which need to be made aware of the hardships that tolling will exact on the cities and population along the I-90 corridor. Tolling I-90 is unacceptable. Contact your City Council, the Washington State Transportation Commission, our Governor, our State Legislature, and all other planning and/or government authorities, local, regional, and federal. Details are on the Contact Officials page. When faced with tolling an existing facility to fund construction of a separate, new facility, Virginians sued. Click on these links for the documents.